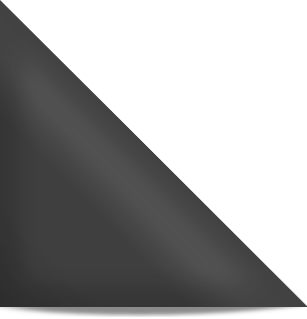 Home » Revealing my salary earned me a lower job offer! One time I disclosed salary. Offer was within $50 of exactly 10% increase. Every other time I’ve disclosed, the offer was equal or less than current salary. Takes nerves of steel to hang up/discontinue email over this issue but I’m starting to think it’s essential. Also, this goes double if they demand documentation (pay stubs, or worse yet W-2 or income tax forms). The potential problem is obvious. If you lied about your last salary and your pay stub contradicts what you said in your interviews, you may be terminated on Day #1. 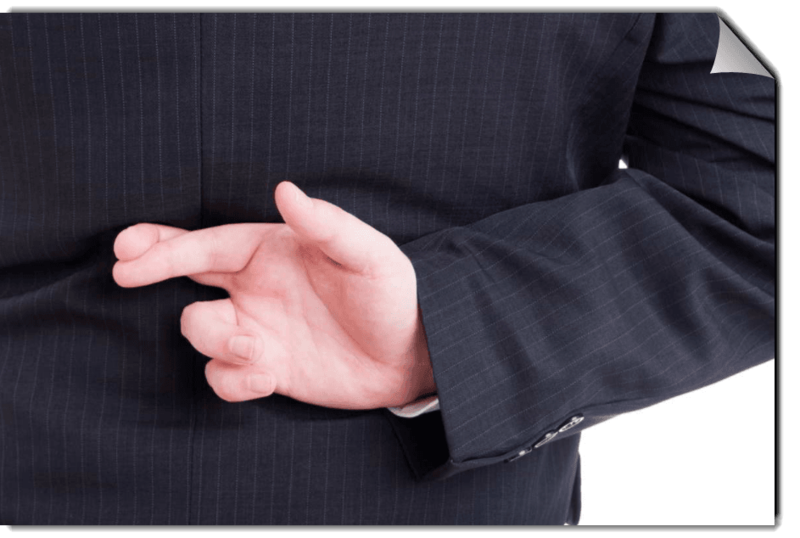 “Don’t disclose your salary history” is different from lying about it during the interview process. Be careful. Another good reason why you should not reveal salary history at any point prior to your being hired, and preferably after you are hired. They do not give you the company’s employee policies beforehand – that has been my experience. It is always the first day on the job or at an orientation (a month later) that a new employee gets the manual. You have to block out the salary figure for your previous employer, but it is tricky. Your previous employer would not give out any information about your employment history on the phone or by email, so they force everyone to use this site. Why does this site have your salary information and why should an employer, prospective or otherwise, have access to your financial information on this website? It’s ridiculous. Where is Congress in making laws to protect privacy? @SF: When your cable company has your SSN already, is it any surprise your salary is ou there as well? This is what they charge employers PER TRANSACTION to check up on Employment and Income Verification. As a Freelancer/Contractor I wonder what would show in my files. I suppose if the Hiring Agent has your SSN# then they can find your pay stubs for all of the places you have worked. You have to give them consent for employment verification, and from my check they cannot provide salary verification. As to freelancers and contractors like us, unless we applied for a loan lately, they’ll have no information on us. @JM: Thanks for that link. I clicked out when I found a button that says, “Take me to Equifax.” How do venture firms get sucked into funding such ideas?? Equifax? 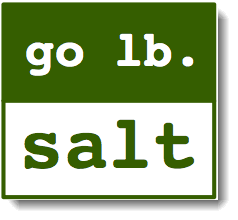 That company that let hackers steal their stock-in-trade for 143 MILLION warm bodies? Who’d ever trust anything they say? Oy vey! I checked out the site and it’s worse than I thought. I *could* get a free transparency report, but I’d have to supply either my employee credentials or my SSAN. I don’t think so. I have a meeting with my “handler” next week; I think I’ll add this to the agenda. I told the last employer that my salary was confidential information, and that they could expect me to keep their information confidential too. Still got the job. Yes, you have to keep it short and sweet to get your point over. If you look at your current or last employer’s employee policy manual, you will likely find that your salary information is company confidential. Salary history is not only used to try to low ball candidates, but I have had discussions with people that say they use salary history as some sort of indicator of “skill.” While this may be true in a perfect world, what we have is a lot less than that. @Dave: How dumb is that? Very. Dumb employers love to assess skills and value indirectly. It’s a poor substitute for proper due diligence. @Nick: It may be very dumb, but I think it’s very common, especially amongst corporate HR. I’ve seen people who say they don’t interview unemployed candidates, much less hire someone who’s unemployed. Less extreme are those who think being unemployed over a certain amount of time means there’s something wrong with you. Better not have a “gap” in that resume. You recently shared and commented on a post are article by somebody who was praising some new LinkedIn thing that is supposed to help recruiters find “passive” candidates. While there’s nothing wrong with seeking out those who are not actively looking, to do so at the exclusion of those who ARE is just a way to sugar coat a systematic disregard of those who are unemployed. Consider the assumptions underlying all of the above. Buffy the millennial “talent acqusition specialist” thinks, “if they were any good, they wouldn’t be unemployed 6 months. She’s tacitly substituting the presumed judgement of unknown others for her own judgement (now THERE’s a big assumption–that she can excercise independent thought and judgement in the first place!) She doesn’t know what companies and positions the candidate has been pursuing or why they haven’t been granted an interview offered a job. Buffy the Millennial (and younger) is glued to her smartphone and social media, when she isn’t hanging out with others just like her–literally working through others’ hands and without a thought of her own! Thinking of her fate in our hands gives me the pip. And your quote is from Rand’s ‘The Fountainhead’ and more than likely Howard Roark if not Gail Wynand. The pity is that I cannot think of one business leader who’s worthy of it. Points taken, Bill and Dee. But it isn’t just millennials in HR causing these problems. I encountered this years and years ago when I started headhunting. It’s a dumb practice that has survived the (sorry) millennia. Companies rarely realize how much it hurts them. But I get your point — job seekers get screwed in the meantime. You have to avoid HR. It’s the first thing my first headhunting boss taught me. She was right. 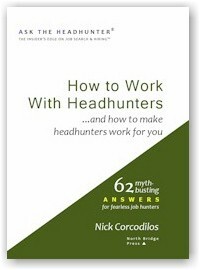 @Nick: I fully agree that everyone must avoid HR–job seekers, hiring managers, and legitimate recruiters and head hunters alike. The question is, how? At least in the case of the vast majority of companies where HR is in control, or where the position is of such a high level that HR is naturally left out of the process. I’ve also dealt with recruiters and alleged head-hunters who don’t have direct access to the hiring manager; i.e., HR is still the gate-keeper, even when they have chosen to hire an outside party! In my mind, when a company hires a recruiter or head hunter, HR should be cut out of the process and the contractor should deal mostly with the hiring manager. I don’t want to be “vetted” by some “recruiter” who then has to kowtow to HR. If HR is going to have veto power over which candidates the head hunter submits to the hiring manager, then HR is still in control and the head hunter serves no purpose. I’m an electrical engineer- age 51 – and I work for a large company that hired me at age 50. I am one of the younger people here. The one thing about creative design engineering that is a constant: Change. We invent new things. We design new products and get them to market. For me this means always learning. If I need to work with something (for example, USB), and if it’s new to me then I learn all I can and find out where to ask questions. As for the “new normal”, constant learning is nothing new. Smart companies train their employees. Now a lot of companies will fire more experienced employees and hire less experienced people who have a given skill acquired in school. Consider this: If you keep rotating through employees then more people know your trade secrets, then you will lose competitive edge. I do know a lot of people who feel they did their learning already, and do not need to do it anymore, and then wonder why they don’t get hired. That said, it concerns me greatly that women who leave the job market for awhile have a tough time getting back in. Women who have raised families know how to get things done – and I have observed that single mothers with young children are some of the hardest workers ever. They may need greater flexibility, but they give a lot back. Every potential employer overlooking a woman who has been out of the paid job market is missing untapped potential for making money. PS: Don’t say you are unemployed – rather, tell people what you are doing with your time – that is your employment whether or not you are paid for it. Nick, they are getting near impossible to bypass. They’ve managed to put themselves into a situation where if HMs don’t go through them, they in turn are threatened and reported. Only in smaller companies can you do this nowadays. Off-Topic: Isn’t Group-Think and Teamwork just different words for Society, Country, Family, Religion and Football? Wasn’t Ayn Rand a bit of an anarchist, anyway? Dave, I’ve heard of companies doing that. This doesn’t make any sense. What if you’re the nephew of the president of the company, and got a high salary due to the family connection, not to any kind of skills? The more I read Nick’s Q&As, the more I am convinced that zombies have sucked the brains out of businesses and government re hiring and determining salaries. 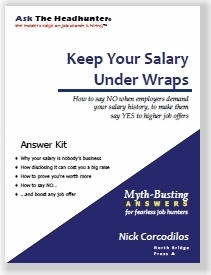 There are many different ways to answer the what is the current salary question — I am sure that they are in Nick’s book. If you are in MA it will soon be illegal for employers to ask this question (already voted on and passed, effective Juky 2018). When a recruiter does ask this question, it shows me that they are not operating with integrity. They also aren’t learning/preparing themselves to work in a way that will be complaint with the law. There are some instances where recruitment will push you for this information and even provide false pretenses like “my client requires it”. If REALLY interested in the job it can be easily side stepped. In some circumstances I have just chosen the blunt route “as you know from my resume I volunteer as Salary Negotiation Facilitator for the City of Boston. It’s a program rolled out to support the new law. I never recommend people share salary history– also, it would be hypocritical to be asking people to do something that I won’t do myself”. -equal pay for Comparable work. The last puts us more in line with Canada and is a much higher standard than equal pay for equal work which can be harder to prove. I believe other states are already starting to tag on (CA, NY, PA). Even better, to support the new law, many companies are doing salary audits and sharing their data in aggregate with the City of Boston. HRHybrid, I live in MA and I hope that companies in the western part of the state will follow suit re doing salary audits and sharing their data in aggregate with the local cities and towns. And I hope that every state will join us in passing laws prohibiting employers from requiring or even asking about current and previous salaries. Hi Marybeth, I suspect smaller cities and towns may not have the resources to collect them in aggregate BUT you can go to HR and ask for info on your own salary. This need not be considered antagonistic but a simple request for more information about your own rate of pay and what percentile you are in compared to others in the same position. If they aren’t open to communicating and justifying how your salary was determined, I would be concerned. Many companies should and will be doing salary audits of their own to ensure they are compliant — one of the reasons for the delayed effective date….so all will have ample time. People get under compensated when they aren’t courageous/comfortable about initiating conversations about compensation. It’s good to include them in “development” conversations…..it’s an easy way to talk about it while simultaneously making the connection between your value, achievement and future goals. @HRHybrid: thanks for the suggestion. I should hope that government will be doing similar audits, be they municipalities or the Commonwealth. I agree with you re initiating conversations about compensation. I also wish that hiring managers and employers in general were also more comfortable having these conversations with prospective employees. We’re all adults, so there shouldn’t be the level of secrecy and the discomfort that I’ve experienced when I’ve raised it in interviews. Sometimes I’ve even been scolded for daring to bring it up. Why? When the employer doesn’t post salary ranges for the jobs, I have no choice but to ask, and to ask early in the process. If you won’t tell me the salary until you’ve made me a job offer and I’ve accepted, then what the hell. I need to know whether I can afford to work for you or whether I’m going to have to get six roommates and three extra jobs just to live. I should think the employer would want to post the salary range–they might find it will weed out everyone who can’t afford to work there. It goes off better if you are initially focused on the job. This where you have the best opportunity to pitch your VALUE and provide examples. You can always ask towards the end of the phone screen if there is a budget in mind for the position. Actually, often you can answer any question they ask you about salary with that same question. Generally, I let the recruiter bring up salary expectations/ranges but I do my research, benchmark the position and am ready to have the conversation LONG before they initiate it. Beyond my own bench-marking (anyone can do this) I don’t like to discuss salary too much, too early as I don’t know enough about the role and their expectations to assign a more specific value. There is often more to the role than what is on paper and more is always revealed in the process. @ Marybeth–I call it the ’employer fan dance’–they pretend to reveal without revealing much of anything. And they get sooooo out of joint when you ask questions to try to determine whether you believe you’d be a fit, what the job really is, and about what you can contribute. Trust me, if you have any savvy, you can sniff out at least the start of what’s not right. Honesty could start with compensation. And as we can see from the discussion here, employers don’t like to be honest in this vital area. @Dee: I like “employer fan dance”. I’ve started thinking of it as employer kabuki theatre. They require me to disclose my salary history, but act as if I’d committed a crime by asking them about salary. I try to keep my question re salary more neutral, asking them what they have budgeted for the position. While I don’t ask it during a phone screen, I do ask during an interview if they don’t state what it is. The whole process is getting longer, more elaborate (hence the kabuki theatre and the fan dances), and I prefer to know sooner rather than later, before I waste any more of my time in a courtship that is going nowhere fast. I’d prefer honesty with everything, but I’d be happy if they’d start with honesty with compensation. I think that scenario clearly demonstrates a company that should be avoided at all costs. It’s a big red flag. Warning for future maltreatment. I once turned down a job offer for 38 hours per week “part-time”, with no benefits except salary. Two more hours per week would have been “full-time” with full benefits. Obviously, this was a clue to how I would be treated in the future. Same story here. This is another instance of an ‘offer that isn’t an offer’. Therefore there is little to lose for our reader. I’d tell them again that you agreed to interview based on a mutually agreeable range. You can clearly do the job and the hiring manager really wants you. You will be happy to accept at the agreed on range.Perhaps also add that you are familiar with the tactic? Put that in writing and copy in the hiring manager and if you interviewed with his boss, him or her too.If you never hear from them again, you’ve dodged a bullet–when you get in a tough spot or need to negotiate a raise, they’ve already shown you that they won’t be in your corner. Always maintain that your present/past salaries or rates are confidential and that you cannot disclose. It’s like recruiters demanding your SSI or putting them on applications, and if you are interviewing with anyone else. The best response is saying, nicely, GO POUND SAND. Since it sounds like the OP is already employed and assuming that they can make rent/mortgage payments and eat, this is the right answer, especially since the company didn’t even meet their own stated minimums. My guess is that, when pressed, they would squirm a bit and say that their range was much larger than the $65K-$70K and that if you’re only making mid $50K’s, that $60K is what you are currently worth. I allude to this above, that there is a notion that salaries are improperly used as a screening tool and that a well designed job spec/selection process does not care about previous salary. Using salary or rate as a yardstick of ‘what you are worth’ is imperfect at best. We’re coming out of a recession (barely) which depressed salaries across the board. People had to take what they could. Does that mean they are worth less? Let’s flip the script. If a person who was making $20K more wanted that job because they were relocating or wanted a lower stress position, would that mean at offer time that he or she deserved the higher offer? Usually that means a knockout as well–‘they’re overqualified’. If our reader can afford to walk away, fine, but the company’s low negotiating tactic speaks volumes about them. I’d smoke out the hiring manager and the boss on the chance that they want the candidate AND can overrule HR. And this is why asking about salary history is a bad thing. We could sit here all day and come up with reasonable scenarios as to why it’s used incorrectly and out of context. The value of a worker is relative. It’s different at each company and job, and has to be assessed accordingly. You can’t look at another employer’s judgment and hope to get it right. Salary questions could be made illegal, but the best solution is to learn to say NO politely and firmly. Here’s my answer that works for me, “As the software developer for financial and HR systems I am trusted with confidential and PII information for my current employer, I take that trust very seriously whether it is someone else’s information or my own. So I cannot reveal that information here. I will be as trustworthy when I work for you as I am with my current employer. I am sure you will appreciate that very much.” You may not have the same job, but every job requires trustworthiness and you can tailor this answer to your situation. This company has clearly showed you their lack of integrity and empathy towards employees. It won’t get better. If there is a silver lining, it’s that you know in advance and can turn back before it’s your paycheck and your stuck. Too often we ignore the red flags by telling ourselves a fairy tale about how we must try or it will get better in the future. Please don’t take a job where they treat you this poorly before hiring. They are saying you have less value to them, they are saying they aren’t honest and stick to agreements. What do you do about online job applications that require you to indicate your salary to move on to the next screen? They don’t give an option of saying you prefer not to say. or put in 999999. Usually passes muster. That way the employer knows it’s a bogus number. Warning, it may knock you out as who sees online applications but HR. Won’t always work. I just dealt with a form that had $10,000 salary increments in a list and I had to select one to move to the next screen. There really should be laws against this. What do you do about online job applications that require you to indicate your salary to move on to the next screen? You move on to the next employer. It makes no sense to destroy your negotiating position before you even get an interview! Say BUH-BYE. For a Joe Schmo employer, I’d walk away. For a big employer, it’s not so easy. I agree with the premise of not giving away your negotiating position, but some of the large employers are putting required salary fields in their application process. If you don’t answer, you don’t get into the system. Nick, Howwould you suggest that a candidate handle a situation where the potential employer utilizes the services of The Work Number. The Work Number is an Equifax subsidiary that works with employers to verify employee information, but I believe the employer–or employee–has to provide that information to the company. I’d sure feel confident in Equifax’s security (s/o). Because if you walk in with some salary survey and explain you deserve pay at that level, HR will tell you that survey is out of date, or inaccurate, or doesn’t reflect this exact job… etc. Bear in mind that this offer is still more than you currently make and more than you will make with your current employer for the foreseeable future. They know that. You could ask your current employer for such a raise. It’s not my style to do that – when I get s job offer that’s good I resign and take the new job. I got a counteroffer on my last job and I turned it down even though my current job makes les money but still a good salary. (There were other reasons for changing.). Take the new job – it’s a fair offer. ….and learn negotiating skills! Kevin, I would argue that unless our reader has urgent reasons to ankle his present job PLUS many good reasons to take this job that are not necessarily monetary, he should consider staying put. Why? He’s already been threatened and treated shabbily by HR *at the offer stage*. Especially in large and small companies, I’ve found that HR is totally disconnected from the hiring managers and in fact has the power to threaten the HMs in a wide variety of ways, including at the inevitable day the HM leaves, if they don’t get their way. Our reader won’t get more than $60k. On the other hand, the reasons to take this job could make up the $5K differential, and he still gets an increase. This job could be a smart move as a ‘total package’. Benefits, bonus, company travel, and vacation might make up the difference. But again, only he’d know that. I think you are right – and without knowing the whole story it’s too close to call. @Kevin: I enjoy reading everyone’s take on this, and everyone makes some interesting points. I’ve got my own take: I’d never take that offer unless I needed to put food on the table and pay the rent. If I was good enough to win that offer, I’d trust my ability to win the right offer. And I’d leave that employer to their games. Consider: They misrepresented the deal to him from the start. Life’s too short to work with people like that. Learn negotiating skills is right. The last time I complied with a salary info request resulted in their failure to respond at all until I followed up. Their lame response was that I made too much money for them to afford. Too bad they failed to realize that I was just supplying requested info which was from a major market (Seattle) and they were a small town market. I never asked for an equivalent comp package as the actual interview never took place and they were just too unprofessional to ask the question. Too many incompetents in HR. Marilyn: That problem with cost of living and general salary levels in different markets works both ways. I too had problems when trying to move out of high cost California to lower cost areas. Prospective employers think you’re going to be too expensive. I’ve now experienced the opposite problem of living in a very low cost area with lower salary levels. My cost of living in Toledo is probably close to $20k/year less than an area like suburban Chicago (and to break even, a salary would have to be even more to clear that $20k difference after taxes). But any employer who gets my salary history will think I’m a loser. I just thought of something. And it’s more sinister than just low-balling. While it’s in IT that I’m thinking of, I’m sure it applies to other fields too. If you may make too much, giving away your salary could also be grounds for age discrimination (and you wouldn’t know it). If they see you make too much (and can thus surmise you are too skilled and they could instead hire a foreigner or a college grad for cheaper), then that could cost you the job itself. In my case, I was making an above market salary, and then my company put everyone on 20% reduction. That amount was just below market rate at which time I got my current job. It isn’t the most lucrative but it is a more stable situation. Unfortunately, age discrimination is a constant without regard to salary, etc. I’m sure many employers feel very smug about this but it is as plain as the nose on ones face . . . doncha know? Legally, it is difficult to prove. It does not make sense to discriminate on age – if someone can do the job well, that person should be hired. I like the confidential information answer, but here is another. Having done salary administration, I know that scarce resources means that some people are not making what they deserve. Ask HR if everyone in their company is making exactly what they should – even the HR rep. If not, why then would they think that your current salary is a fair one? If you want to get underpaid, you can stay where you are. Oh, I like that one…and wonder what would be their answer? @Scott: Dude, that’s precious insight from the inside. Thanks for sharing it. Every job seeker should look at themselves through the “scarce resource” lens. Are you? If yes, adjust your strategy for pay. If not, what are you doing to gain the edge of a scarce resource? Stand out. By scarce resource I meant money for raises, which seems to come from a different pot from money for new hires. That has to be competitive, or the company gets all its offers rejected. When I resigned from my previous job my boss tried to give me a raise and stock in the company. He said I was a key employee. Too bad I was not informed about that before! (Especially when asked to take a pay cut.) Looking back, leaving was a good move. Tell your employees you appreciate them!!! You could say that your current is what you and your employer agreed to (said sweetly without divulging the actual amount). What I don’t understand is why employers require copies of your W-2s for on boarding when you’re starting a new job. If they’ve made an offer and you’ve accepted it, then why is it necessary to supply them with copies of your W-2s or your tax returns? I think any employer who needs to know your salary history in order to determine your value to his company isn’t someone you want to work for. What if you were a recent college graduate with no work history save a couple of unpaid internships? Then what? Would they tell you that because you interned somewhere else for free that they’re not going to pay you anything? 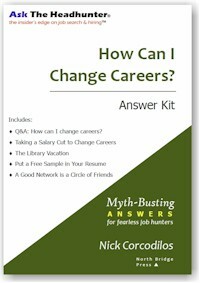 What if you’d been out of the job market for some time, or what if you’re changing professions? Let’s say I worked for several years as a kindergarten teacher, then I decide to go back to school and get a degree in engineering, and am now applying for sound engineer jobs. Why does what I earned as a kindergarten teacher have any relevance in my value to you as a sound engineer? And why would you use what I made as a kindergarten teacher to determine my value to you as a sound engineer? None of this makes any sense! I’m going to take off my tin foil hat for a second, but one reason could be that an employer wants to confirm your work history and doesn’t want to pay or wait for a background check. It could also turn off potential employees because they’d be turned off by the consent forms – i.e. “I’m just working the front desk! Why do you need a background check.” Not that asking for a W-2 is any better. @Dave: I wish folks would take this seriously. Get the company’s full employee policy manual before you accept an offer. Because if you don’t do that, they can require it after you’re an employee. I challenge any HR person to give us one GOOD justification for requiring past salary information of new employees. I believe the main reason they ask for it is simple and silly. The HR associations they belong to ask companies for salary data they can then use to produce salary surveys that they can sell back to the HR execs at those companies. That salary data is then used to negotiate against you when you next apply for a job. I agree with you, Dave — other than “IT’S REQUIRED,” I see no justification for a company to require your salary history at any time. @Dave: I thought of that, but if all they want to do is confirm that you worked where you said you worked, they can call HR and get the standard “Dave was employed here from 1999-2004”. Of course, it does mean that they’ve have to pick up the phone and actually talk to another human being instead of getting W-2s uploaded by the applicant and delivered to them. There are ways to verify employment without asking for the applicant’s salary history. Once the prospective candidate signs the employment application form what’s to stop the employer prior to making an offer or in some cases even interviewing from verifying salary history? How would a candidate know that a potential employer has utilized this service? Does it appear on their credit report, if so is it a hard hit or a soft hit? I refuse to give my W-2s or certainly my tax returns to any employer. Aside from the fact that the information is confidential among my prior employer, my accountant, and the IRS, where do you think that information goes? Can you say ‘security risk’? 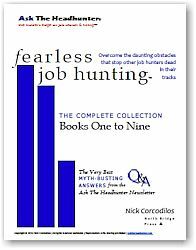 Nick, I have to disagree with you on one point–employers never hand over the employee manual before hiring. A surprising number of smaller companies don’t even have one. The only time that happened was where I was consulting for several months and my client/boss sent me benefits information before I signed on the line which is dotted. Exactly! They do not give the new (or prospective) employee employee manual before hiring. That’s why I ask a lot of questions (crafted or impromptu, depending on the circumstances) in the interview process. That’s what makes the interviewer nervous; that’s a tell to me. @Dee: That has been my experience, too. I interviewed at one place, and when there was an offer on the table, I asked for a copy of the employee manual. I was told that it would not be available to me until I had accepted the offer and filled out all of the on boarding paperwork. When I asked “why not?” because I’d like to know if I’m going to be held to something that I don’t know at this stage, I was told that the employee manual is confidential, available only to employees. Since I wasn’t an employee yet, I wasn’t entitled to read it. But I would be held to its standards. This too makes no sense, and I wonder whether an attorney experienced in contract disputes or employment issues would make of this. The whole point to contracts is that both parties know the terms and that they’re equal partners (more or less) at arm’s length bargaining. A rule is to read contracts thoroughly, and if you don’t understand the terms, then you need to hire a lawyer. But when you’re prohibited from reading the terms, you can’t know what you’re agreeing to–I should think this would be a case for not enforcing the contract. I’ll have to ask a friend of mine who practices employment law. I would even be willing to sign some sort of NDA not to divulge the manual/details of the offer to others outside of the employer. I can understand why companies want to keep some of this info close to the vest, and I don’t want to go through back doors to find the information out. @Dave: I never thought of that! I could draft my own NDA regarding the employee handbook as a way to reassure them that I’m not going to blab their company policies to anyone or post it on the internet for all and sundry to read. That’s a good idea. One more thing to consider, which is risk. Anyone in business or finance knows that higher risk propositions have to return more to be worth doing. You know that someone offering you a no-risk investment with a 20% return is a crook. Switching jobs is risky. You may find that you are a bad match, or that the employer lied to you, or that the job isn’t as advertised. Unless you are about to get laid off or are working for a broken company, staying put is lower risk. (One reason why raises don’t match offers to new employees.) Someone offering you your old salary for taking the risk of a new job is the same as someone offering T-bill rates to invest in a startup. Makes no business sense, and the only reasonable response is no. I recently received a request for references after a couple of interviews. The first interview was a phone interview. Most of my references mentioned that they had been contacted and given me a good reference. However, I received in email stating that they wouldn’t be advancing me to the next round of interviews. So they wasted the time of my references and now I am left wondering what went wrong, Were my references not good enough or ? They were not transparent about their process so when I received the request for references and heard positive feedback from my references I was extremely excited, believing that a job offer might be made. @Nick Corcodilos, I’m thinking of replying to the email mentioning my concern about my references being contacted in the middle of the process instead of at the end, when they are about to make an offer. I’m really upset about how they handled this as my references are precious and I don’t want them to tire of being my reference because of abuse like this. How can prevent this from happening again? I know the textbook way of doing this is to supply references when an offer is made, but after a couple of interviews and with no further information, it’s natural to assume that they are evaluating reference in order to make an offer. I’d think the best way to go about this is to ask after a reference request if an offer is being made. If they say that it is not, you say that your agreement with your references is that they will only be contacted if a legitimate offer is being made to you. And stick to it. Smoke them out! You run the risk, of course, that they will terminate you in the process because you did not comply. What you eventually do is your call. If you give out references and believe they’ll be contacted, always give them a heads up–and advise them if it’s an offer. Recruiters even want references up front with the application. I refuse to give at that point. Their information is confidential. I know I’ve been terminated for not supplying them because ‘that’s their procedure.’ BS. Transamerica flew me down to Baltimore to interview last year, afterwards the recruiter said to get him my references asap and I can “expect an offer by the end of the week.” He called all my references, and I never heard from them again. I sent a nasty letter to the CEO which prompted a call from some head recruiter who said that they just decided not to fill the role. I very irately demanded to know what business they had bothering my references if they weren’t serious about hiring me, he couldn’t give me a decent answer other than to “apologize profusely.” One of my references called to see how the move to Baltimore went, when I told him what happened he said the same crap happened to him once. Apparently, it’s all part of the new normal. That story sounds all too familiar. Make you (and everyone else) jump through no less than 17 hoops and then decide not to hire anyone (in that round). I’ve often thought that if more of us posted our bad experiences on LinkedIn using our personal updates and publishing articles, it would make a difference. Not only publishing experiences, but naming companies and names. If you have a bad experience with a company, you aren’t going to want to work there anyway. I know that we are all quite apprehensive about an approach like this–I realize I’m near the end of my so-called career so feel a bit more daring to call these practices out, so not right for many. Nick is using LinkedIn to promote his articles, and this one in particular rips the festering scab off HR practices. Promote it through likes and share. Understood, but StinkedIn can’t catch it all…. Occasionally Glassdoor is helpful–especially for smaller companies. Singing on an interview? And then he was left in the room and not escorted out….amazing story. But then again I was not escorted out–left to find my way out– after a grueling 3 hour interview plus tests (never again!! )–in a healthcare facility supposedly concerned about security. Wow Sighmaster, that is so shocking. It seems nowadays some employers want job applicants to be willing to beg for a job like a dog begging. I can confirm that this and other insane “processing” policies are related to products and services pawned off on clueless HR people by third party snake oil salesmen. This is how your personal information ends up in a hacked Equifax database. Companies do this (and other) things to candidates and people coming in the door… and then wonder why people have poor attitudes, low morale, and tend to jump ship for better opportunities quickly. Oh, and are utterly mystified as to why this happens. The reason they leave is because you do nothing to keep them. 1st I suspect you didn’t do as well in your interview as you think. If you had they wouldn’t risk missing out on a great candidate over a few thousand a year. 2nd they may have got a better insight into your pay history, but you got a great look into the type of people you are dealing with. This is not the caliber of people you want to work for. They are not going to stop screwing you once you take the job. 3rd If makes no difference what you are making now. I am always upfront about what I make, if asked. My current salary doesn’t have any influence on what I am willing to take in a different position, no 2 jobs are the same. So if I’m hiring someone I would typically determine that someone has the requisite background before I call them in for an interview, and then meet with them in person to verify that they are a good fit. I’ve been rejected because I was “too polished”. I’ve been looking enough times, and gone to enough interviews, that you can’t NOT get to the point where answers to the common questions become standard recitations. And I’m not so “good” that I can artificially make myself unpolished. Your comments are worth more discussion. 1) possible, it may be that there are a few in the que who have similar qualifications. They chose this applicant for a reason though- something this candidate could bring to the role gave her/him an edge. A conversation about salary expectations was had and so it is on them for moving forward under false intentions. While short sided, there are plenty of places that nickel and dime. 3) True but this is an area where HR plays both sides. On paper and process HR pays for the job. They brand themselves as “we hire for the people”. It often takes until people are at Director level to be savvy about how this works and hold their ground. Unfortunately this often translates to those with less experience being snowballed. Lastly, I wish people would stop referring to recruiters as HR. Many have no training and are ethically compromised. It is extremely unfortunate that it is often this group that shapes the opinion of the profession. I can probably count the number of those in recruitment that are truly exceptional on one hand. I may even have an finger not used. People should just call recruiters, recruiters and not be quick to include everyone they interact with in the larger profession. Great Article. I am in NYC and we are poised for a new law to begin October 2017 in which employers are NOT allowed to ask previous salary. As a woman, in Tech, this will be a game changer to say the least, and level the playing ground. However, I am concerned that along with this law, employers ought to be obligated to display a salary range by which potential hires can assess if they should bother applying or not. Lest they be asked what their salary range is, and price themselves too low or too high. Confidence will be key in that case. @Lola: The new law may change things a bit, but the HR community is tight-knit. If a personnel jockey wants to learn your salary (or check your references quietly) all they need to do is reach out to their network. That’s why you’re right: The more important law would be to require posting of salary ranges on jobs. The smartest thing you can do is define the salary range you want and make it clear up front that you won’t consider less. If the company won’t agree to that up front, move on. No sense wasting your time. Of course, the alternative is to press them for the job’s range. But I like starting with my own required range.